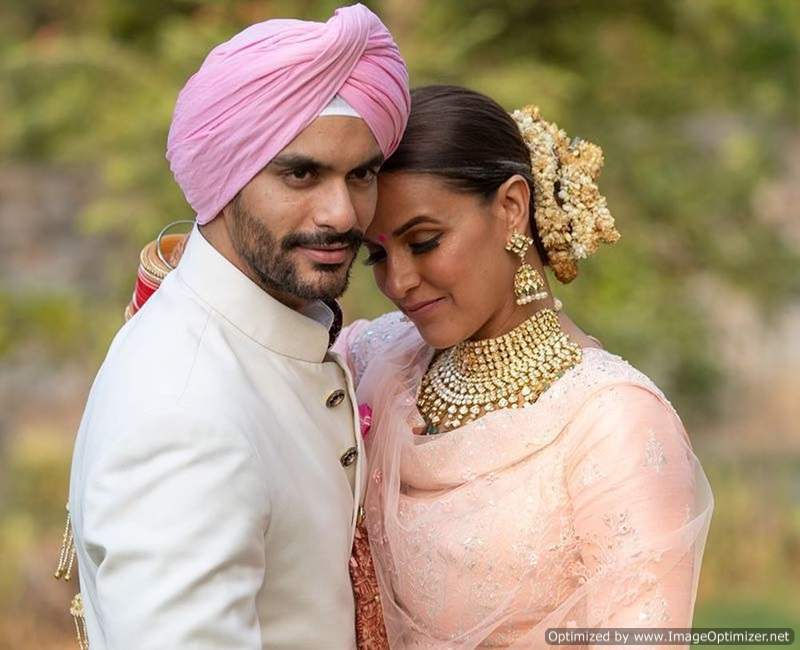 In a surprise move this year, famous Bollywood diva Neha Dhupia and handsome hunk Angad Bedi got married recently. Their hush-hush wedding in May this year came as a bolt from the blue. The lovebirds’ amped up chemistry and PDA never fail to make heads turn. Shortly after their much-discussed marriage, rumours mills were abuzz that Neha is pregnant and which is why she tied the knot in a hurry. Her loose clothing at recent appearances only fanned the flames further. At the GQ Best Dressed event recently, Angad was asked to react to the pregnancy rumours. He had then said, “When it happens, we will come out and surely speak about it.” He further added, “First we need to buy a house. We are going in the reverse order right now. So when we make some money and get some more work, we will start a family too. We will surely tell everyone about it.” Guess the time has come for them to ‘tell it to everyone about it’. Neha had also revealed the real reason why the duo opted for this secret marriage. Neha said that Angad had proposed marriage to her four years back but at that point, but destiny had different plans. “His mother was not ready to give her nod for the wedding date, till she met me. I met her two days before the wedding and she asked me if I was sure about getting married to him and some other questions, which a to-be mother-in-law would generally ask.” She also added that it was his father who had strictly instructed them to keep their wedding a low-key affair. Meanwhile, on the work front, Neha Dhupia was last seen in Tumhari Sullu. She will next be seen in Eela alongside Kajol. The trailer for the movie, co-produced by Ajay Devgn, released on Sunday. Virushka Wedding: This is how B-town celebs reacted to the wedding they were not invited to!